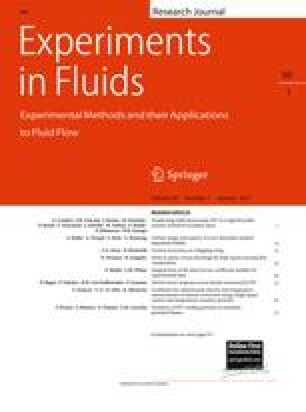 This paper proposes a combined method for two-dimensional temperature and velocity measurements in liquid and gas flows using temperature-sensitive particles (TSPs), a pulsed ultraviolet laser, and a high-speed camera. TSPs respond to temperature changes in the flow and can also serve as tracers for the velocity field. The luminescence from the TSPs was recorded at 15,000 frames per second as sequential images for a lifetime-based temperature analysis. These images were also used for the particle image velocimetry calculations. The temperature field was estimated using several images, based on the lifetime method. The decay curves for various temperature conditions fit well to exponential functions, and from these the decay constants at each temperature were obtained. The proposed technique was applied to measure the temperature and velocity fields in natural convection driven by a Marangoni force and buoyancy in a rectangular tank. The accuracy of the temperature measurement of the proposed technique was ±0.35–0.40°C. This work was partially supported by Grant-in-Aid for Young Scientists (B) 20760129 and TEPCO research foundation.